August 3, 2010 By This post may contain affiliate links. 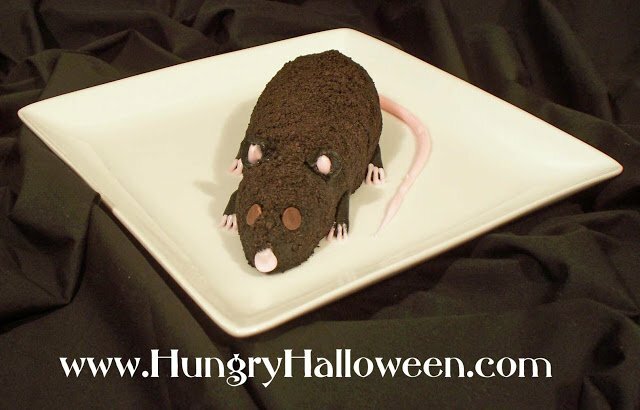 This Sweet Cookies and Cream Halloween Cheese Ball Rat will spook everyone out but is amazingly delicious! This dessert is simple, festive, and screamingly delicious! 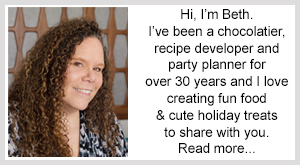 If you are looking for party food that might at first gross out your squeamish guests, but tastes so yummy they wont be able to resist, this is the recipe for you. A yummy dough made from Oreo Cookies and Philadelphia Cream Cheese creates Longtail’s body, legs and ears. His long body is rolled in crushed cookies which mimics his hair. 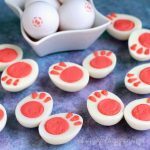 Chocolate chips become eyes and a simple cream cheese frosting is piped on to create his tail, nose and toes. 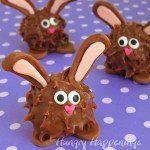 Kid’s will love helping you create this adorable yet disgusting creature and will have even more fun eating it. 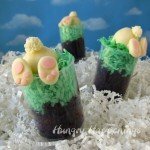 If you don’t have any experience piping frosting you can substitute candy pieces for the tail, nose and toes. You could use strawberry Tootsie Rolls to create these parts. 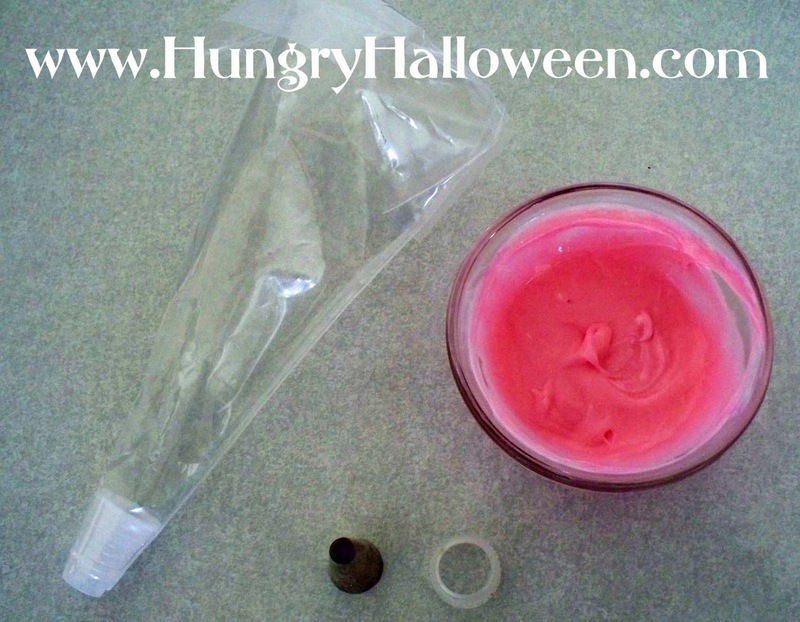 Just soften the candy in your warm hand and cut and mold into the desired shape. You can also put them in the microwave on defrost for 5 seconds. Just be careful as the candy may be very hot when you remove it from the oven. Reserve about 3 tablespoons of the cookie/cream cheese dough for Longtail’s legs and ears. 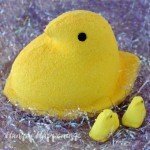 Pour the remaining dough onto a piece of plastic wrap. 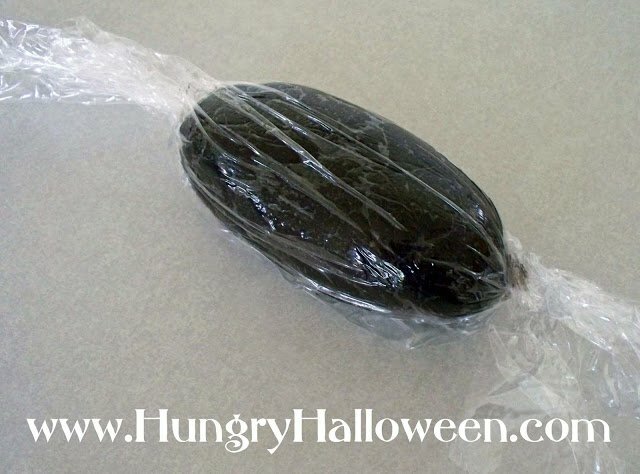 Use the plastic wrap to help you form the dough into a long oval. Unwrap. Press the two chocolate chips onto either side of Longtail’s face. Pinch off small amounts of the reserved dough and roll into 2 short skinny front legs and two longer wider back legs. Attach to body. Pinch off two small balls of dough and flatten them into ears. Attach to head. 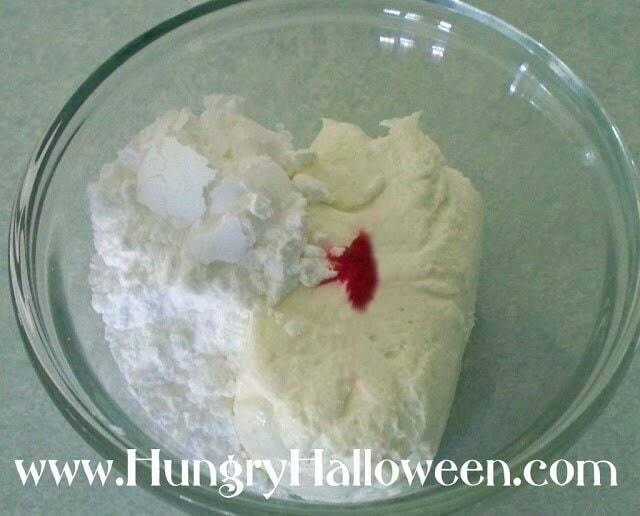 Combine the remaining 1 ounce of cream cheese with the powdered sugar and one very small drop of pink food coloring. Stir until well combined. Pipe a long tail onto the back of Longtail’s body. Start by setting the decorating tip at Longtail’s back end. 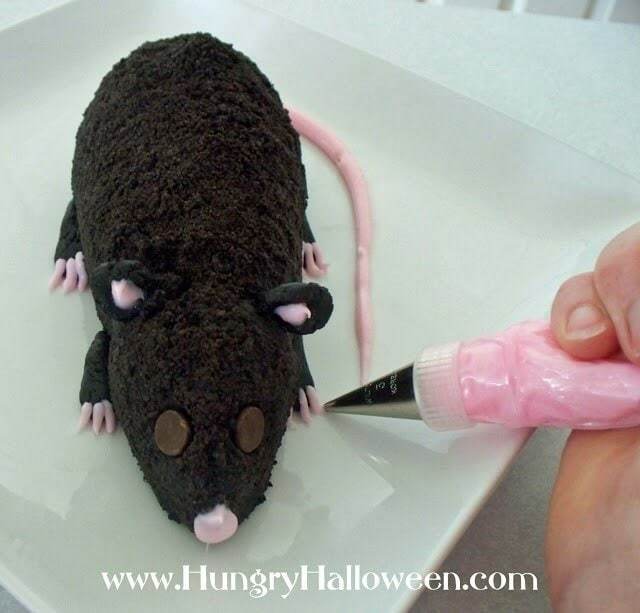 Squeeze and as the frosting comes out of the tip, pull out and around the body tapering off as you go. Pipe on a nose and pipe some pink onto each ear. Remove the #12 decorating tip and replace it with a #3 tip. Pipe on Longtails’ toes. Keep refrigerated for up to a week. Bring to room temperature before serving. 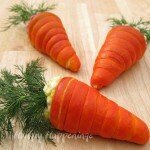 Do you just slice "him" up and eat it, or use it as a spread on something else? I just slice it and eat it as it has a crumb like crust. You could make cat shaped fried tortilla chips and serve them on the side. 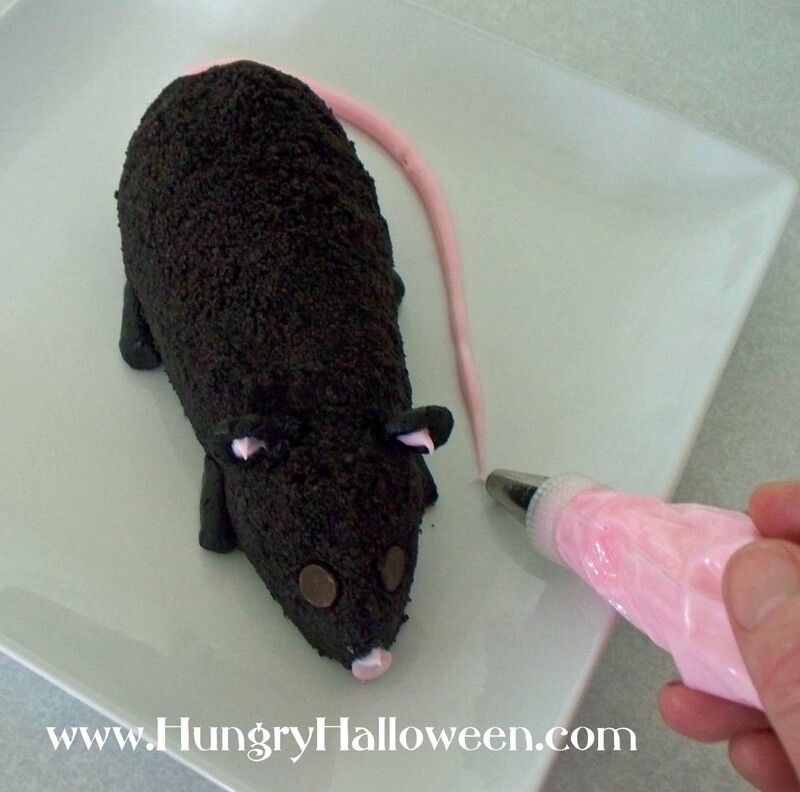 Then your guests could scoop out the rat with a cat! That would be pretty funny. 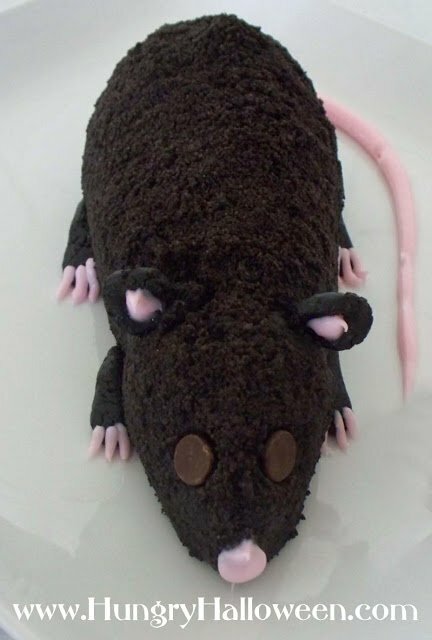 Wow, thank you Beth for posting this ratty! He's adorable and your directions are really clear. I will certainly be trying it out this Halloween season! This is soooo cool!!! Can't wait to make it and freak everyone out! Thanks!!! Oh i wish I had seen this on the weekend! My coworker HATES mice and rats but love cakes and I would have loved to have brought this into work…. next year! mwahahahaha! What a fun idea! I would use a cat shaped cookie cutter to cut out flour tortilla, then I'd fry them and sprinkle on some cinnamon sugar. 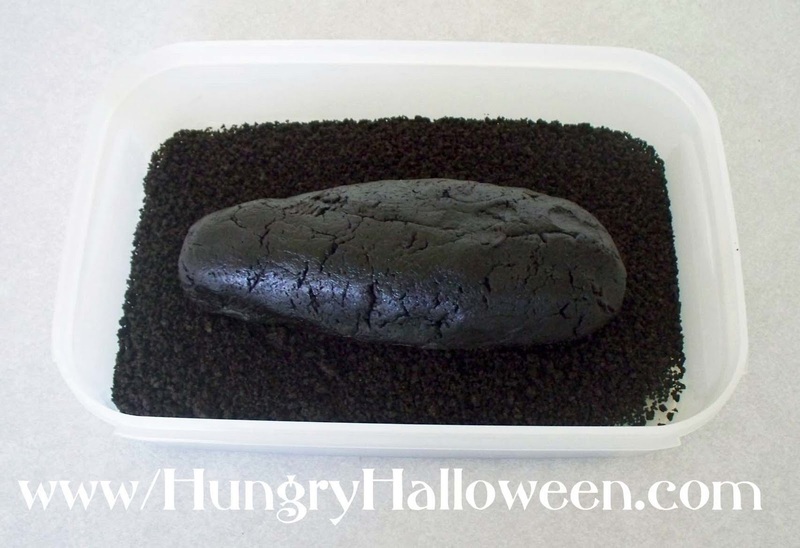 You could even add some cocoa powder to add some dark color to your cats. Have fun. I'd love to share a photo if you make them! I think I will serve graham crackers with it. It will taste like oreo balls without the coating. It will taste great with graham crackers. You can even cut them into cats using a cookie cutter if you want. This is the entry that led me to your site (via Mental Floss, I think?) and I LOVE it! I had to subscribe to your RSS feed. Thanks for sharing all of your creative ideas with us! Thanks for stopping by. Thanks for subscribing. I hope you continue to enjoy my projects. Do we take the cream out of the center of the cookies for this? or just put the cookies in whole to make the crumbs? You need to use whole cookies to make the crumbs. I love it! Just finished mine up and he is ready for the party! I'd love to share a picture in my Reader's Gallery of your rat. Have a great party! 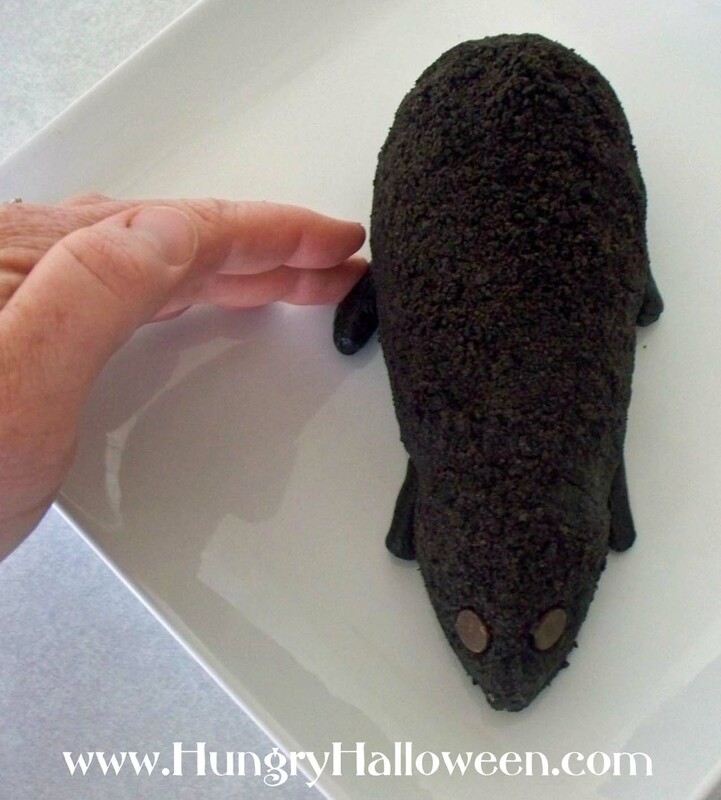 I use this base to make oreo truffles (just roll them into balls and dip in chocolate) but this is so much easier and Halloween-appropriate. I had a tough time sticking the ears to the head so i just connected them to each other and they kind of sit on top of the head. I had to add a splash of milk to the pink frosting to be able to pipe it. Thanks so much for this cute idea! Everyone at my work Halloween party loves it! Amazing idea ! Just why leave it in the fridge for a week? Amazing idea ! How come it has to be refrigerated for a week? It can be refrigerated for up to a week or served the day it’s made. Is that 18 oz. of oreo cookies when they are crushed or is that the whole package? 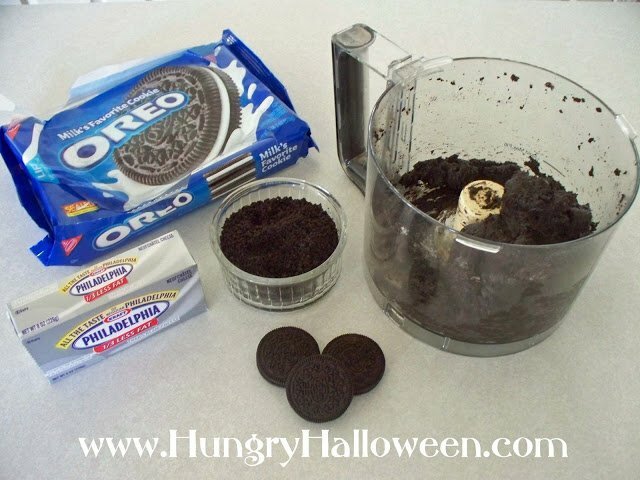 Crush the entire 18 ounce package of Oreo Cookies then remove 2/3 cup crumbs and set aside. That 2/3 of a cup of crumbs will be used to coat the cheese ball. The rest will get mixed with the cream cheese. About how big is this rat? I’m trying to decide what size serving platter I need. I’m thinking about bringing it to our office party this year since my home was most recently invaded by rats. However, I want to change it up a bit and buy a plastic rat trap, clean it thoroughly, make it look like the rat got caught, and use red jell icing for fake blood. Also, any other ideas about what to serve with it except graham crackers or tortilla chips? I love that idea!!! This is about the size of a real rat. I’d say it was about 8 inches long plus the tail. 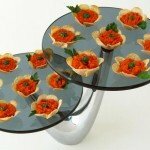 Of course, you can shape it and make it any size you want so that it fits on your platter. You could serve it with cinnamon sugar pita chips. You can let it sit out for a few hours without any problem. I served it at my Halloween party and it sat out through dinner then got cut into for dessert.